According to the email below, the Islamic Society of North America (ISNA) is holding a conference “to counteract different forms of extremism.” The extremism that they are talking about is not the Jihadists of Islam that despise America and want to change its public policy. They are talking about the extremism demonstrated by patriotic Americans who do not want Sharia law to have any place in American politics. They are talking about real conformed Americans who are publicly expressing outrage that Islamization is a threat to their liberties and the American way of life. According to the ISNA web site the conference is scheduled for June 29, 2013 at the Sheraton Tampa East on 10221 Princess Palm Avenue in Tampa, Florida. The Sheraton Tampa East is owned by Starwood. is leading a national effort through United Voices for America to oppose federal legislation that would prohibit American courts from recognizing Sharia law. See Note 1 with references below. as director of the Tampa office of the Council on Islamic-American Relations defended Sami Al Arian, who was indicted and plead to federal charges of raising support for a Palestinian Jihad organization. See Note 2 with references below. 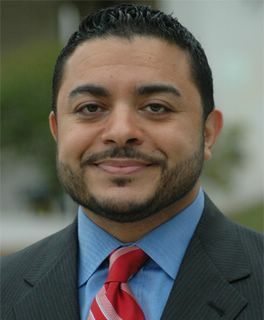 as director of the Tampa office of the Council on Islamic-American Relations spoke on behalf of Youssef Megahed one of two University of South Florida students who were arrested for allegedly carrying pipebombs near the Goose Creek, S.C a naval base and Megahed was arrested later for deportation. See Note 3 with references below. lobbying efforts as director of the Tampa office of the Council on Islamic-American Relations resulted in the Hillsborough County School Board removing Yom Kippur and Good Friday from the school calendar even after nearly sixty percent of the students (supported by parents) protested by staying home from school on subsequent Good Fridays. See Note 4 with references below. ISNA founder and former Secretary-General Sayyid Syeed said in 2006, “Our job is to change the constitution of America.” It is the Islamist mission to institute Sharia law as public policy in the United States. The Clarion Project reported on May 30, 2013 in the article titled ISNA Redefines 'Sharia' for Western Consumption: The latest issue of the Islamic Horizons magazine of the Islamic Society of North America, a U.S. Muslim Brotherhood entity, has an article with an interesting message: The U.S could learn from Islamic law if it weren’t for the “Islamophobes” bashing Sharia. The theme of the article is that “Islamophobes” are twisting the meaning of Sharia, and it is up to Muslim-Americans to set the record straight. Starwood owns the Sheraton East Tampa. Starwood also owns St. Regis, The LuxuryCollection, W, Westin, Le Méridien, Four Points, Aloft, and Element branded hotels. 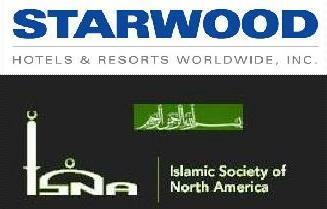 Americans who are concerned about the activities and dogma of groups like ISNA have the First Amendment Right to ask Starwood to avoid conventions involving groups that advocate Sharia law. Some provisions of Sharia law are antithetical to the rights and liberties afforded under the United States Constitution. Florida Family Association has prepared an email for you to send to Starwood officials. ISNA is proud to be hosting ISNA Community Day in Tampa, Florida on Saturday, June 29th (inshallah) featuring Shaykh Mokhtar Maghraoui, Moutasim Atiya, country muslimsinger Kareem Salama, Wajahat Ali, Reverand Charles McKenzie and many more. The event is from 3:00 PM – 10:30 PM at the Sheraton Tampa East (10221 Princess Palm Avenue). In light of recent events and frequent misconceptions about Muslims, the theme “The American Muslim Identity: Challenges to Opportunities” will focus on addressing the difficulties Muslims face and discussing practical and positive solutions to counteract different forms of extremism. Join us as we address the importance of our role as contemporary Muslims in America who are more commonly answering the call to represent the true teachings of Islam. Note 1. Ahmed Bedier is President of United Voices for America. The top issue at Unitedvoices.com is opposing federal legislation to prohibit American courts from recognizing Sharia law. The headline issue on this web site states “If passed, this legislation will be disastrous…” Click here to read top article titled “UV Policy Brief: Should Sharia Law Be Banned in America?” at United Voices for America. Note 2. “Ahmed Bedier, Tampa spokesman for the Council on American Islamic Relations, said Moffitt was wrong about the Al-Arian plea. Al-Arian did not agree to admit to any charges associated with terrorism, Bedier said. "He stayed true to his convictions - he stayed true he wasn't going to plead to those issues," Bedier said. "There is no conspiracy to support terrorism." Bedier said he could not reveal what charge Al-Arian agreed to, and he refused to reveal the source of his information. Bedier convened a 7 p.m. news conference, saying he hoped to have Al-Arian's family there. They did not appear. "Their lawyer would not allow them," Bedier said. He later said Al-Arian's family learned of the plea agreement Friday from a news report. All of the above statements were reported by The Tampa Tribune on April 15, 2006. Note 3. "We have faith in the American judicial system," said Ahmed Bedier, executive director of the Tampa chapter of the Council on American Islamic Relations. "So far we've only heard and read about vague language describing an explosive device, but no actual evidence. Until that's displayed it's going to be unclear what's going on." The above statements were reported by the Tampa Tribune on September 1, 2007. Note 4: CAIR (Council on American-Islamic Relations) lead then by Ahmed Bedier placed intense pressure on the Hillsborough County School Board to include the Muslim day Eid Al-Fitr in the 2006-07 school year calendar. The school board responded to CAIR’s pressure by removing Good Friday and Yom Kippur from the school calendar.